This is a 100 mile ultra marathon around the Lake District. 100-ish miles, over 6300 meters of ascent and 2 nights of no sleep in under 30 hours. The furthest David has run before is 50 miles. The Lakeland 100 'Ultra Tour of the Lake District' is the most spectacular long distance trail race which has ever taken place within the UK. The circular route encompasses the whole of the lakeland fells, includes in the region of 6300m of ascent and consists almost entirely of public bridleways and footpaths. The route starts in Coniston and heads South before completing a clockwise loop which takes in the Dunnerdale fells, Eskdale, Wasdale and Buttermere before arriving in Keswick. From here the route heads to Matterdale and continues over to Haweswater before returning via Kentmere, Ambleside and Elterwater to the finish at Coniston. The route does not pass over any of the 'popular' Lakeland summits. Instead, it weaves its way through stunning valleys, coutours picturesque fells and cuts it's own line through the amazing Lakeland topography. 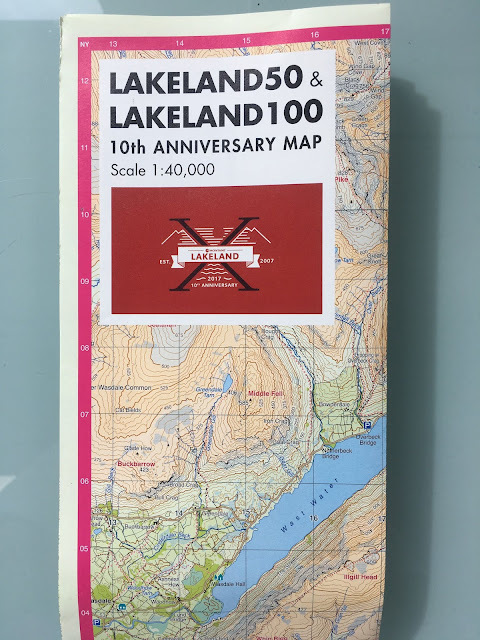 The Lakeland 100 will take you to places in Cumbria you may never have visited before and it's likely you'll wonder why. If you had a bit of spare change and wanted to throw it his way, he has a donation page here. You can follow David on the live tracking here.